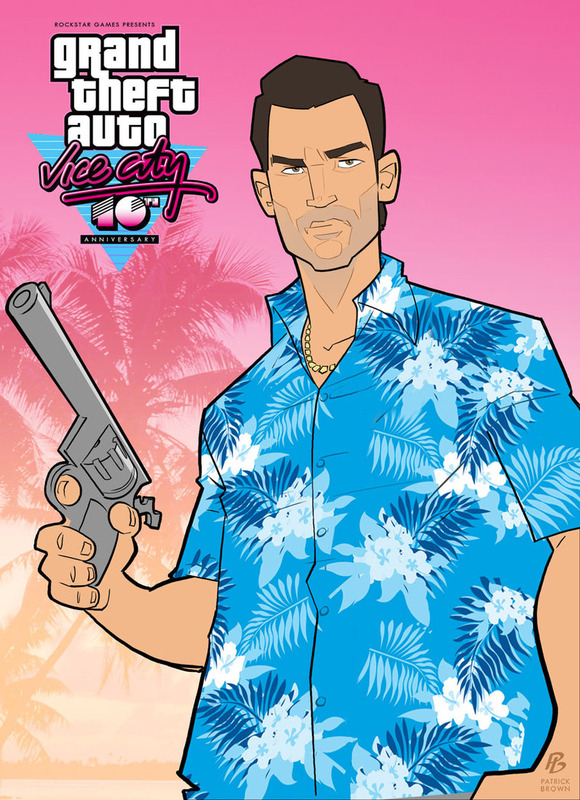 Tommy Vercetti and GTA Vice City ..let’s celebrate their 10th Anniversary with a nice artwork! Damn..time moves forward way too fast. Anyway, Patrick Brown, Australian Artist and a big fan of the GTA games tributes this anniversary with his talent and created this nice artwork. Awesome work as usual Patrick!